Premier Dental (Sugar Land) - Book Appointment Online! At Premier Dental, patients will receive superior service and high-quality state-of-the-art dental care in a warm, caring environment. Patients of all ages from Fort Bend, Richmond, Missouri City, Stafford and the surrounding areas of Sugar Land can achieve optimal dental health and bright, extraordinary smiles. Established in 1998, Premier Dental offers individualized, cost-effective treatment, convenient hours including some evenings and weekend appointments, and no wait times before a visit. Dr. Ebrahimian’s team consists of competent and compassionate individuals who are committed to excellence. 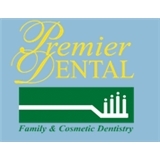 Premier Dental offers a complete selection of general dentistry services, and his warm and friendly team will discuss preventative dental care plans to improve patients’ oral health. Great Dentist! I get very nervous when going to the dentist and both the doctor and the hygienist were quick to calm me. Everyone at the office seemed really nice and willing to work with you. Will go back and have already recommended him to others.